Earth Day aims to inspire awareness of and appreciateion for earth's environment and is celebrated on April 22 each year. At BCS, April 22 through April 26, 2019 we will be asking you to participate in a series of events that we hope will help to educate and inspore our entire community. Ideas include: waste free lunches, Detroit Zoo ADOPTS program, turn off your engine, presentations to students, and more. Click on this flyer link for a printable version! Please join us on Thursday, May 2, 6:30-7:45pm at the Birmingham Covington School library to hear students and community members share stories from multiple perspectives as they relate to LGBTQ persons. Panelists include students from our two high schools; Ian Unger, the youth outreach coordinator from Affirmations; and parents from PFLAG Detroit. Free and open to the public. Refreshments served. Now that the Spring weather is settling in, please remember to send boots and maybe extra socks to school with your children. We will go outside for recess every day, weather permitting. Purchase your 2018-19 BCS Yearbook Now! More information on ordering your yearbook may be found on the Walsforth Yearbook Flyer. Purchase your yearbook online by following this link to YearbookForever.com. Questions? 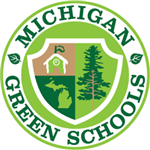 Contact Michelle D'Orazio at mdorazio@birmingham.k12.mi.us. If you would like to order a Destination Delicious Cookbook please complete the following form and return it to school with cash or check made payable to BCS with DI cookbook on the memo line. Click here for cookbook order form. We look forward to cooking and eating all of your family favorites! Check out the Delicious Cookbook Cover! Cedar Point field trip forms may be turned in with partners on May 6, 7, 8 and 9th. Completed forms and payment must be presented to the teachers on one of these days. Teachers will be stationed in front of the cafeteria before school from 8-8:14am only. Students will be in Cedar Point Park from 9:30 A.M. to 6:00 P.M. Please pick up your child at 8:30 P.M. when we return to BCS. The Birmingham Covington Districtwide 3-8 School (BCS) is a 3-8 districtwide school of choice for families residing in the Birmingham Public School District. It is designed to offer a clear choice in educational structure and philosophy to parents/guardians and children seeking a rigorous academic challenge. BCS has a special emphasis on comprehensive science and technology instruction based on the Association for the Advancement of Science report, Project 2061, and enGauge: 21st Century Skills. Learn More About BCS from the Acey Family! Click on the link above to learn more about the areas we are most proud of: Global/Real World Learning, Academic Achievements, Global Citizens of Character and Collaboration/Teamwork.